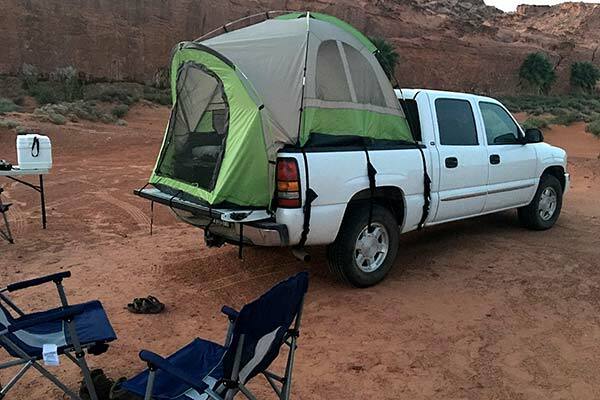 Leave it to marketers to take something as basic as camping and make it expensive. By adding bright colors, doodads and needless bells and whistles, an activity as old as life itself suddenly comes with a pretty price tag. Not with the Napier Backroadz Truck Tent. 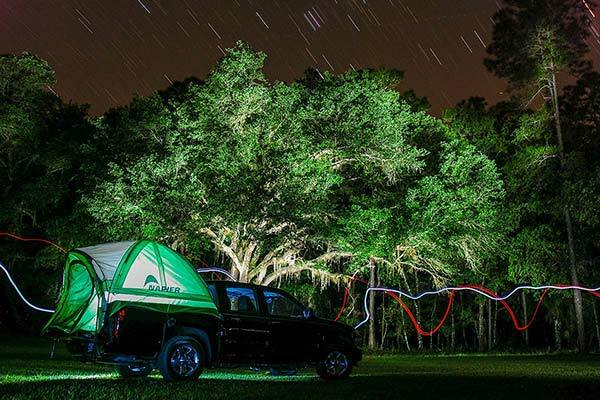 Now, you can break camp—without breaking the bank—wherever and whenever the outdoors calls. 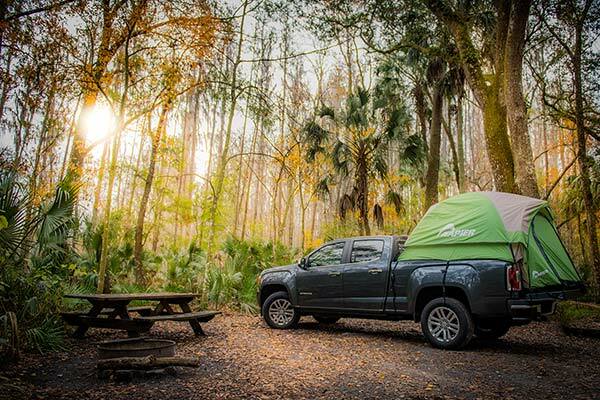 Transforming your truck into a backwoods hideaway faster than you can strike a match for the night's bonfire, the Napier truck tent is the best way to sleep above the cold, damp, lumpy ground. And, it's the only way to keep curious wildlife and backwoods burglars at bay. 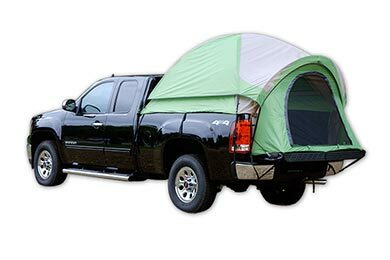 Complete with one large entrance, two large windows with dividers, and a rain fly, this truck tent is built for battle with the elements. 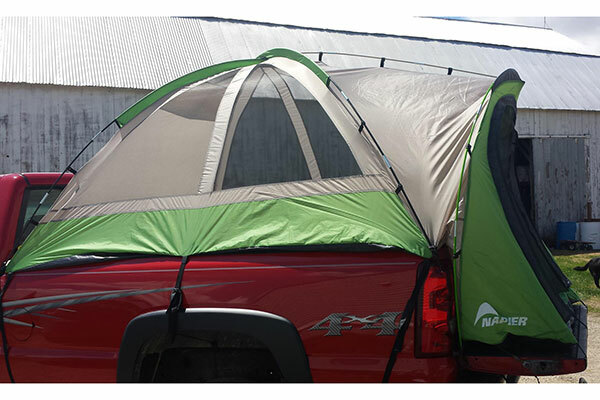 The patented, sewn–in floor exclusive to Napier's truck tents makes for a comfortable camping experience. 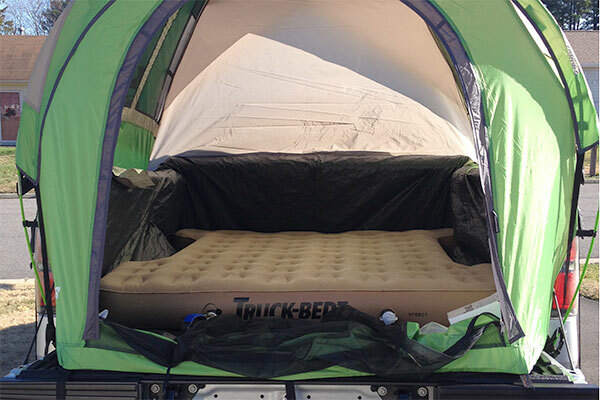 And, setup and storage are easy, thanks to the shock–corded fiberglass poles and included storage bag. 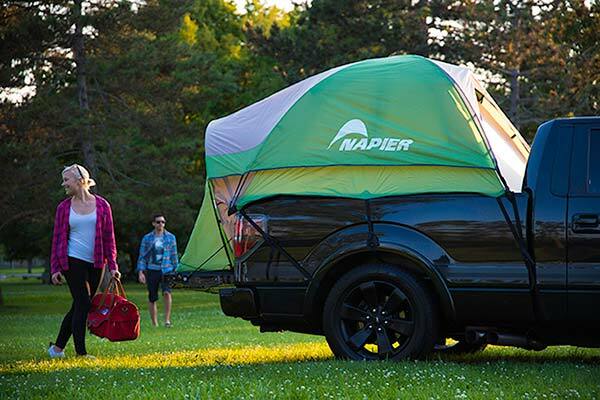 Best yet, Napier donates one tree to Trees for the Future with each tent sale. 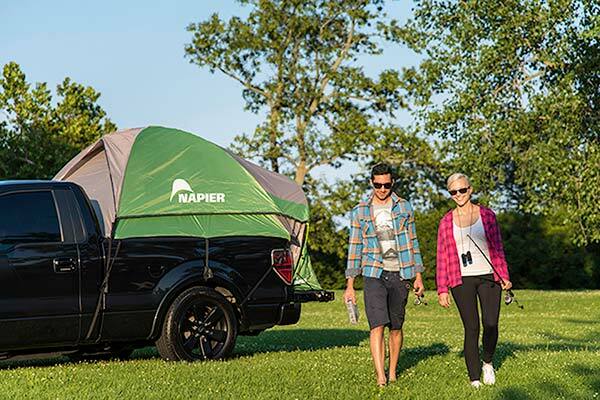 And, along with the being green and saving you some green, Napier backs your Backroadz Truck Tent with a 1–year warranty. 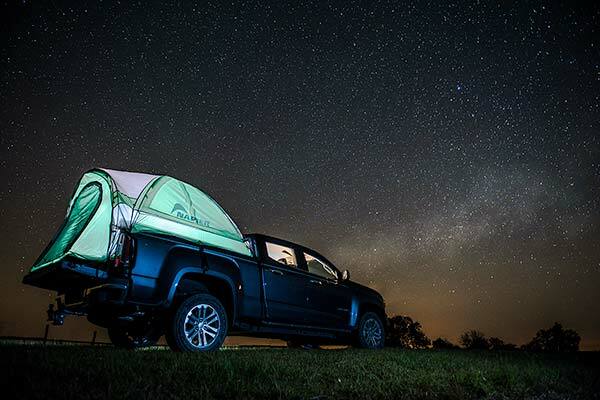 I absolutely love my Truck tent. It is pretty easy to set up with 2 people, but I took it down by myself. 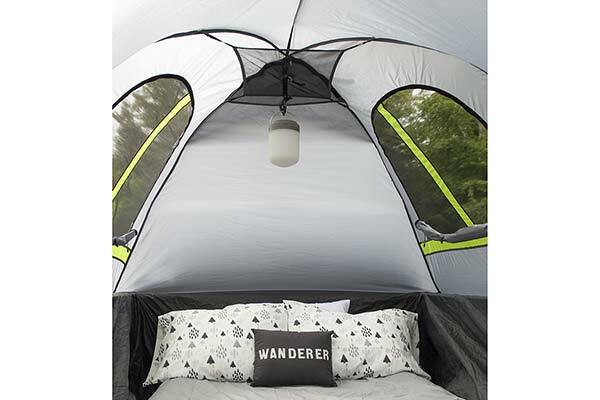 I haven't tried to set it up by myself yet -- that will have to wait until next camping season. I didn't have any issues at all with it and I had several people ask about it because they liked the look of it and it would get them off the ground. Great value. Spacious room inside. After the intial setup the rest will be a breeze. Here we come Talladega. 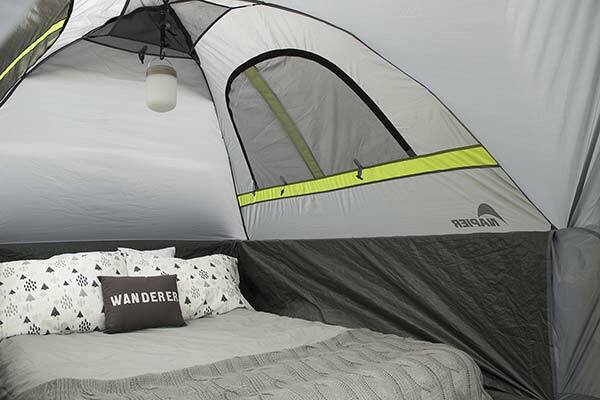 Just used this tent on a recent camping trip. I decided to attempt set up at home before my camping trip. I followed the instructions and It went up very quickly, in 15 minutes, with no issues. 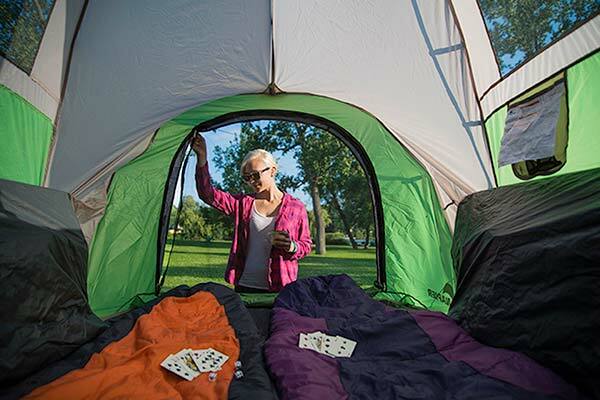 While camping, it rained the first night and the tent remained dry throughout the night. 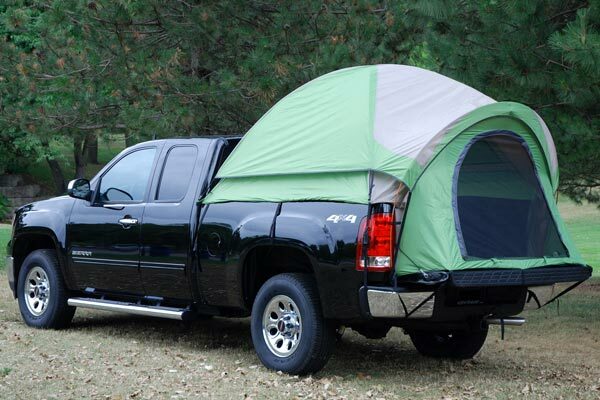 However it is important to make certain that the tent overhangs the sides of the truck bed so no rain water runs under the tent and into the truck bed. 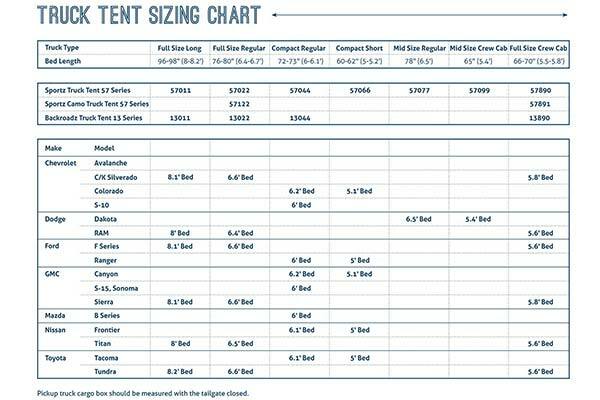 Overall, a good tent for the price. I plan to use it often. Appears to be of quality material. 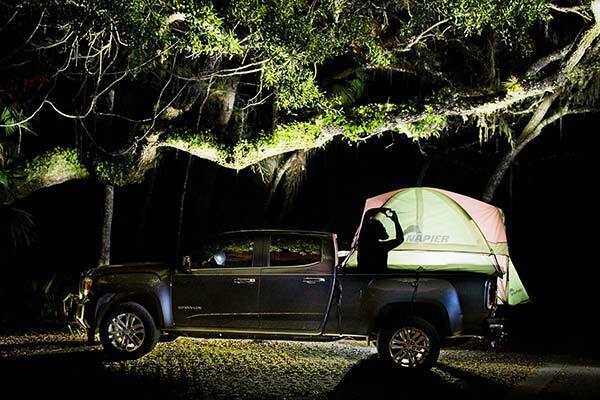 Fit full size Tundra truck bed well. Assembly was easy. First time using it it rained all night long. Tent held up well, no leaks. It was nice to be up off the cold damp ground. Reference # 753-514-704 © 2000-2019 AutoAnything, Inc.